Siobhan O'Connor talks with "60 Minutes." Last week began as the CBS investigative news magazine "60 Minutes" took up the topic of sexual abuse by Buffalo priests on Sunday, Oct. 28. Featured was whistleblower Siobhan O'Connor, who leaked diocesan documents to the local media, and Deacon of St. Mary's Catholic Church in Swormville, N.Y. and hotel owner Paul Snyder, who is leading the call for Malone to resign. 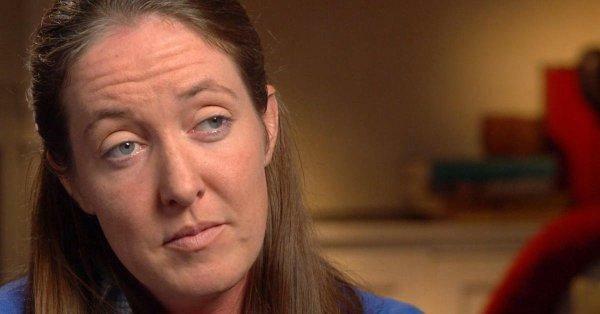 "I'm gonna burn this place down someday," O'Connor told "60 Minutes," admitting she has a "fiery," "all-Irish temperament." Snyder also recalled fire and brimstone in his comments, calling priest abuse a "scandal." "A crisis is we look at our home and it's burning to the ground," Snyder said. "A scandal is while it's burning to the ground, you know how to put the fire out, but you don't tell me. You also know how the fire was caused, but you don't tell me." Also stirring concern from the "60 Minutes" feature was Fr. Bob Zilliox, a pastor at St. Mary's in Swormville, who estimated "eight or nine" priests accused of abuse are still active in ministry. He said they should have been removed. The diocese responded in a statement, saying it knows of no accused priests still on the job and that Malone was "stunned and dismayed" at O'Connor's comments. With that statement, the diocese released emails attributed to O'Connor that it said "demonstrate her complete admiration for the Bishop and his efforts to lead the Diocese. Her comments now are plainly and embarrassingly contradictory." That all came just hours after the diocese announced another priest - Fr. Michael Juran - had been put on leave until a complaint was investigated. 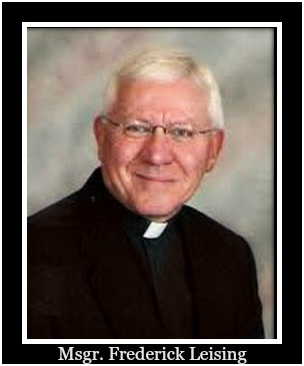 Saturday the diocese put two more area priests on leave, Msgr. Frederick Leising and Fr. Ronald Sajdak, both with ties to Nativity of the Blessed Virgin Mary in Clarence. They have been placed on administrative leave after accusations of abuse. WBFO requested an interview with Malone Monday, Oct. 29, following the "60 Minutes" story, but the diocese did not respond to our request. As revelations about Buffalo's clergy abuse scandal goes national, so have the activists getting involved. Attorney Mitchell Garabedian, who has been defending clergy abuse survivors, has joined with survivors in Buffalo. He joined O'Connor for a news conference Tuesday, reiterating that accused priests are still on the job and that Malone should resign. Coming to the defense of the diocese was the New York City-based Catholic League, which harshly criticized O'Connor, Garabedian, but mostly the media's "gotcha" mentality, while not cleaning up their own house. In a five-page statement Friday, Catholic League President Bill Donohue made his case by citing what he calls "accused molesters" from the national media outlets. The University at Buffalo's Dr. Nancy Nielsen, who is a survivor of clergy abuse herself, agreed the focus should be on the abuse that caused the crisis of faith, not one individual. Nielsenis one of nine organizing members of a new lay Catholic movement announced Thursday to rebuild trust in the Buffalo Diocese. She said abuse in the church is a cultural and systemic problem, but she believes trust can be re-built by reaching out to other dioceses and the public for help on developing best practices. The group will take its first major step with a symposium at Canisius College on Nov. 28 at 7 p.m. The public is welcome to the discussion about the church’s actions, what can be done to protect the vulnerable and hold leaders accountable, and how to heal the church and its members. A nine-member organizing committee of Catholic lay people have started a movement to rebuild trust in the Buffalo Catholic Diocese. By the end of the tumultuous week, Malone did sit down with other radio, television and print outlets – a change from issuing statements all week. On Monday afternoon, the bishop is scheduled to meet with diocesan clergy at 1 p.m. at Infant of Prague Parish in Cheektowaga. That will be followed by a meeting with the media at 2:30 p.m., at which time the diocese says it will be important to hear from the bishop directly.